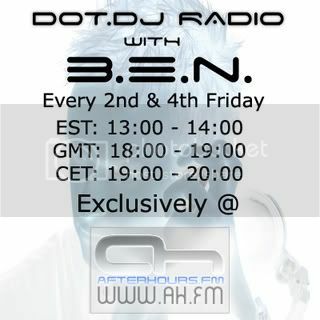 " Tonight, YOUR Dot.DJ Selection of 2008 is officially announced, in a countdown of the top 10 tracks from the past year on B.E.N. 's Dot.DJ Radio, chosen by you, the listeners! " Last edited by B.E.N. ; Jan 9th, 2009 at 19:55. Hmmm... Where was the voting poll for the best tracks or something like that?